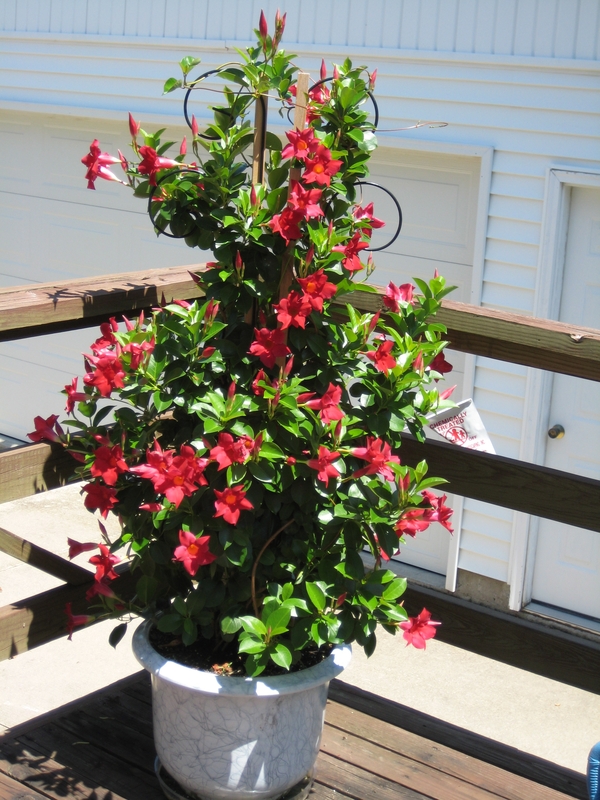 Sandi Frasher of Marion, Iowa, sent in this photo of her mandevilla. Sandi says through investigation on the web, she decided it must be a Sun Parasols mandevilla. It was in a 12 inch hanging basket when she purchased it. We have a mandevilla that we wintered over indoors. The plant is doing very well and is a growing mode but is not budding or blooming. Is there something we should do to encourage blooming. Thanks for any help.